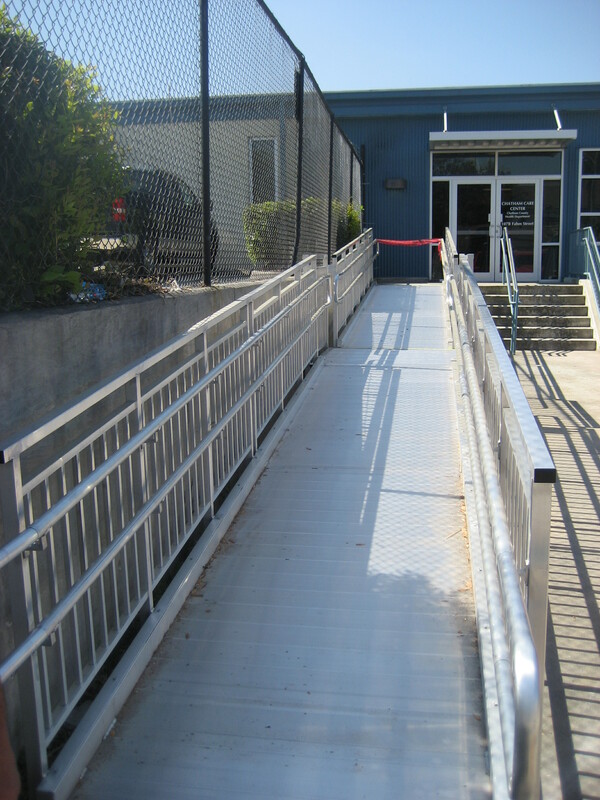 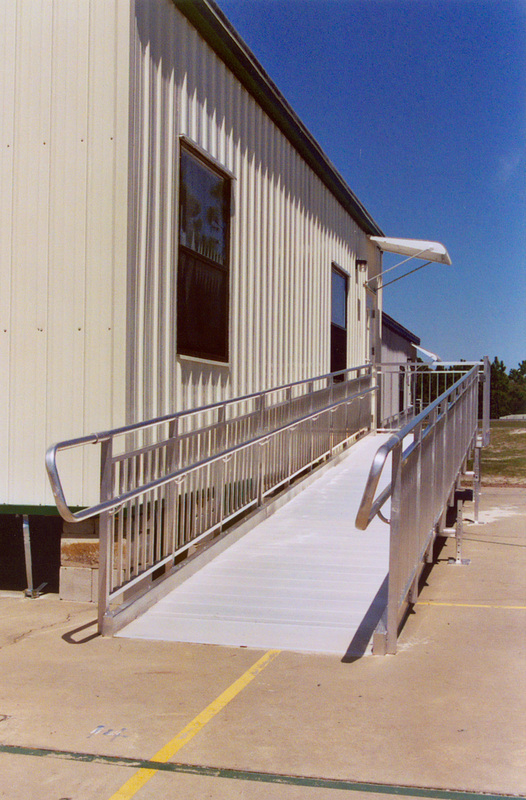 The REDD Team Universal Wheelchair Ramp System provides ADA compliant wheelchair access to portable and modular buildings. With its ease of mobility, long life cycle, and modular aluminum components this system is simple to relocate and reconfigure according to your need. 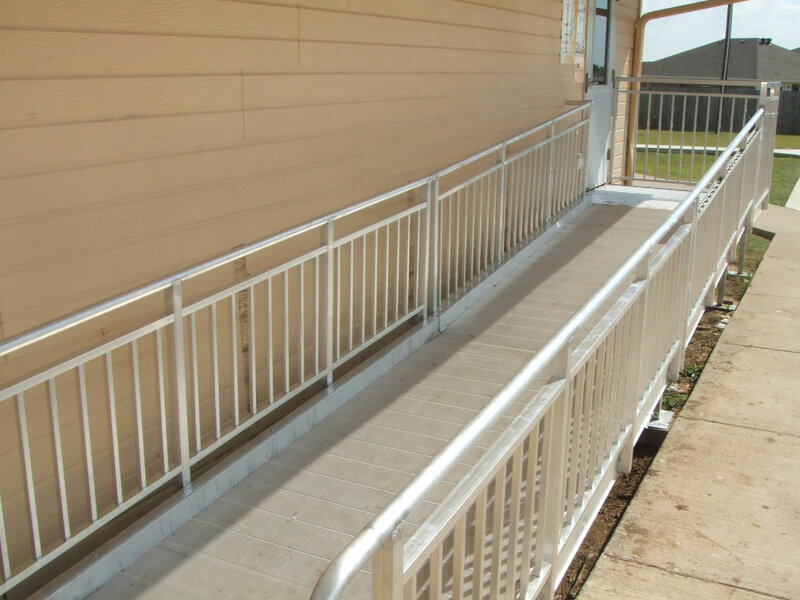 The REDD Team Universal Wheelchair Ramp System, along with its counterpart the Universal Stair, can provide you with safe and low maintenance wheelchair accessibility solutions. 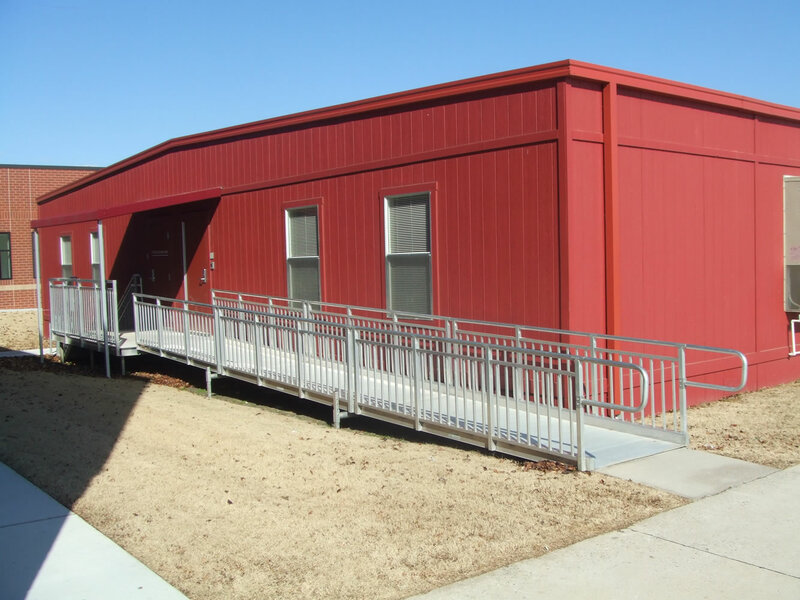 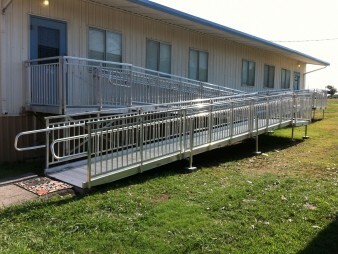 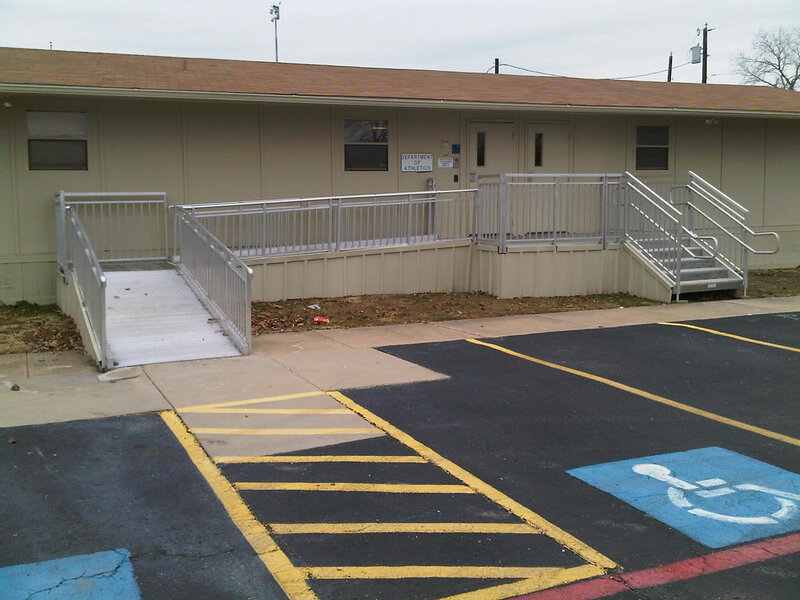 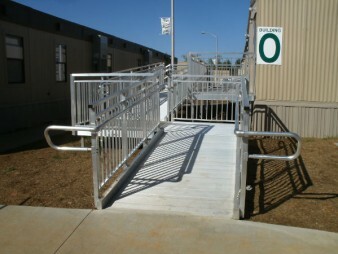 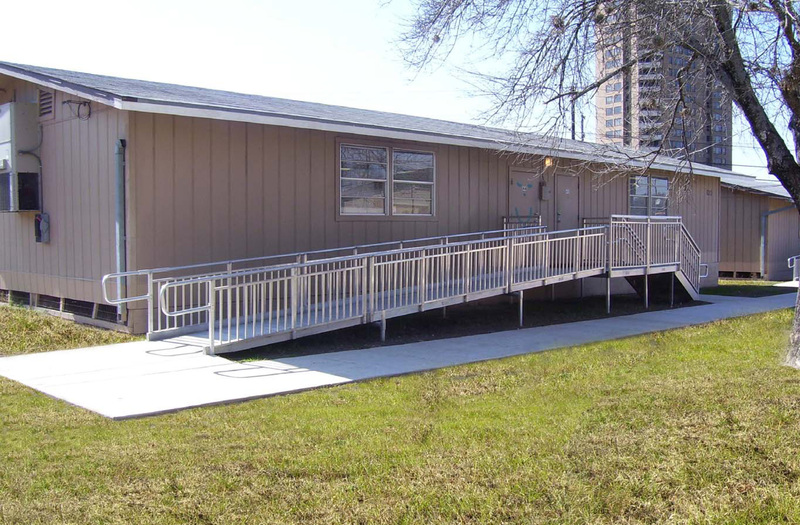 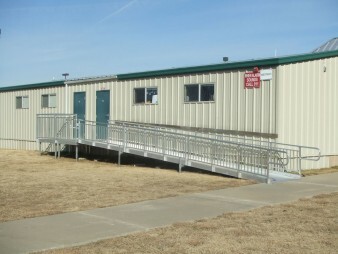 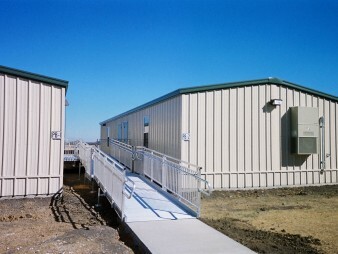 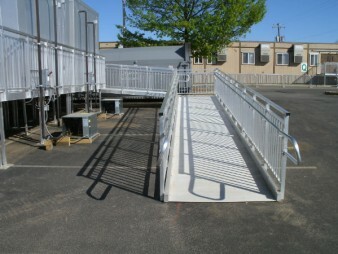 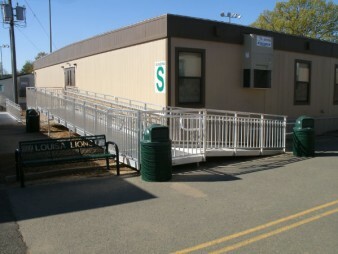 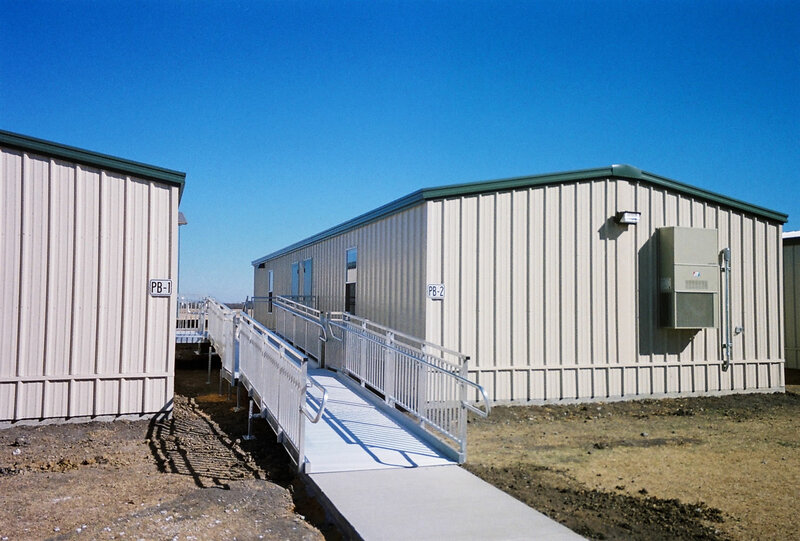 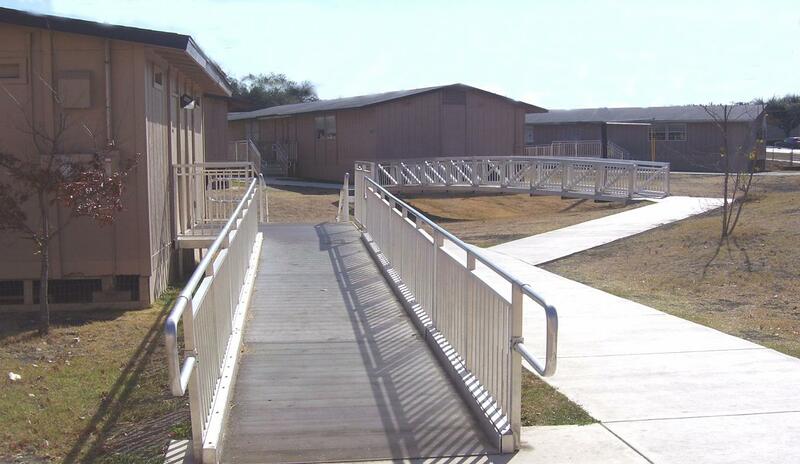 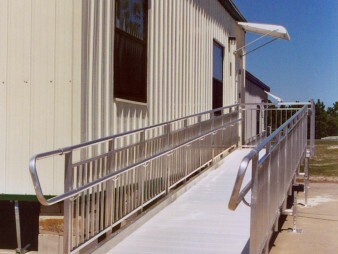 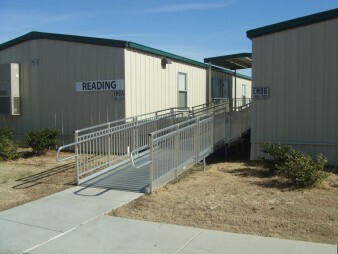 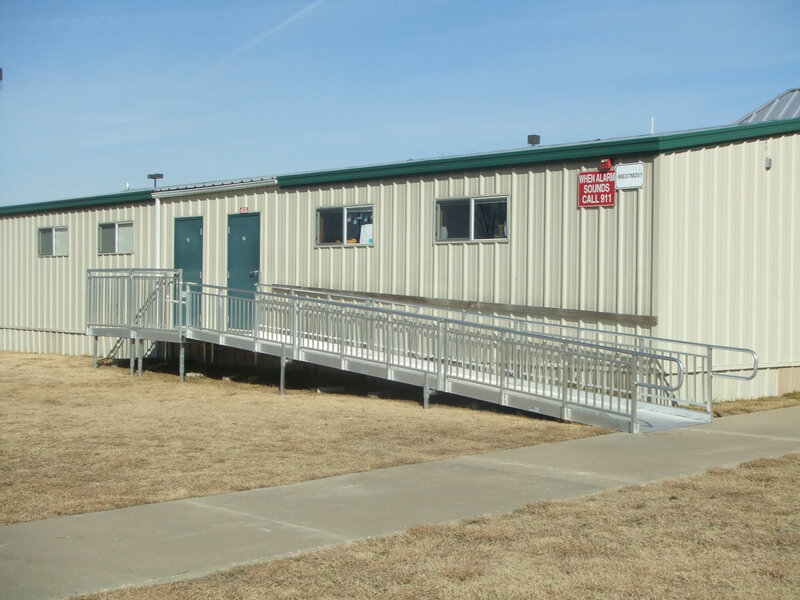 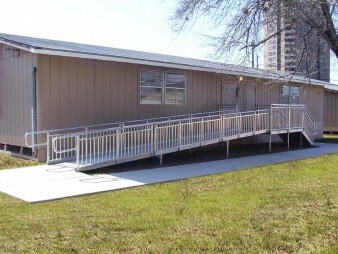 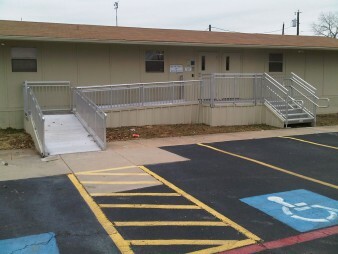 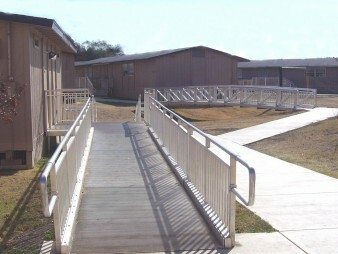 ADA compliant access for portable classrooms and site built or modular buildings. 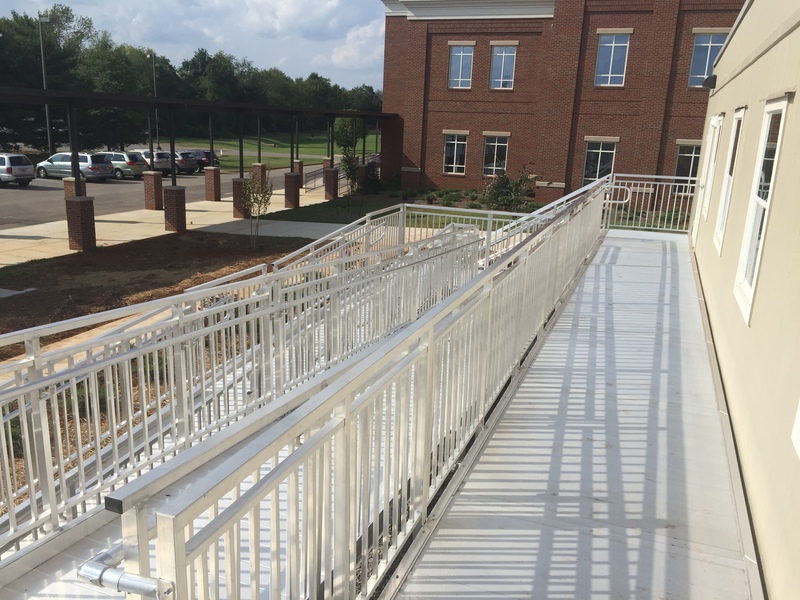 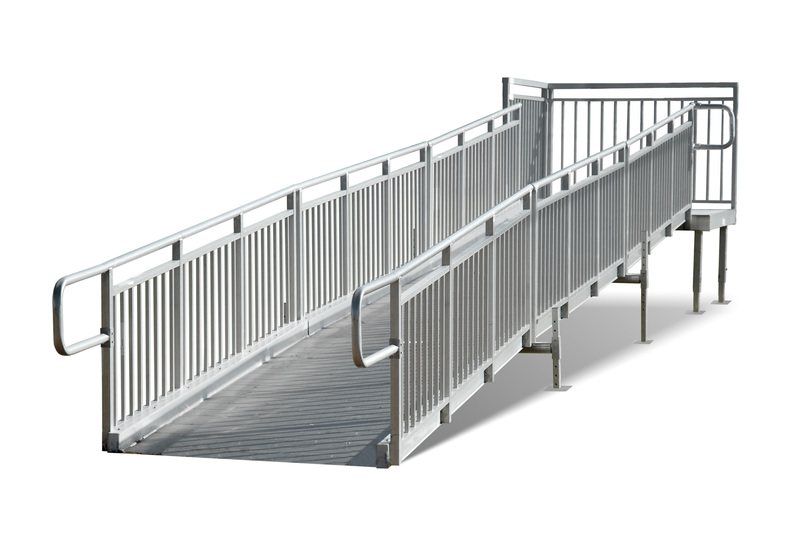 Smooth, continuous handrails and a slip resistant walking surface for safe and easy access. 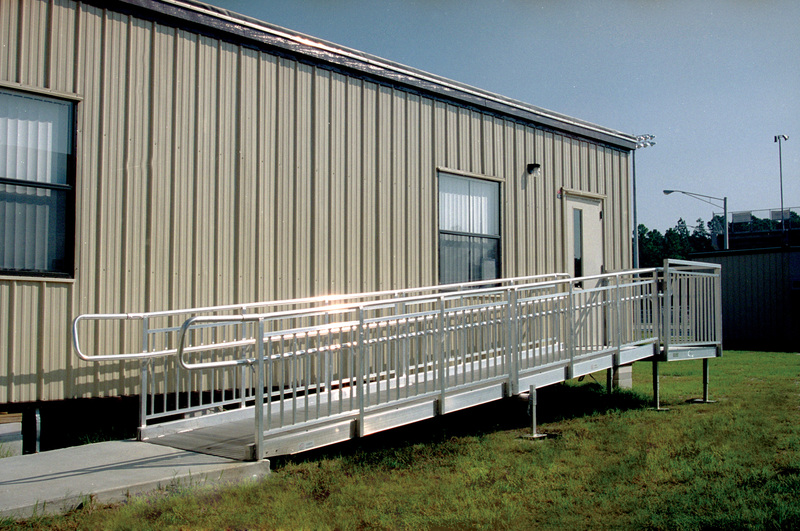 Durable aluminum is virtually maintenance free for exceptional value over a long life cycle. 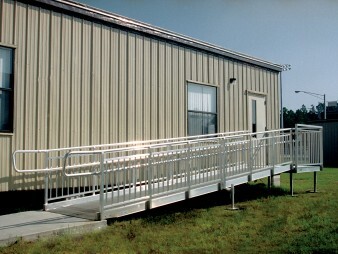 Aluminum is non-corrosive and non-combustible. Adjustable heights and slopes available for versatility in permanent or re-locatable installations. 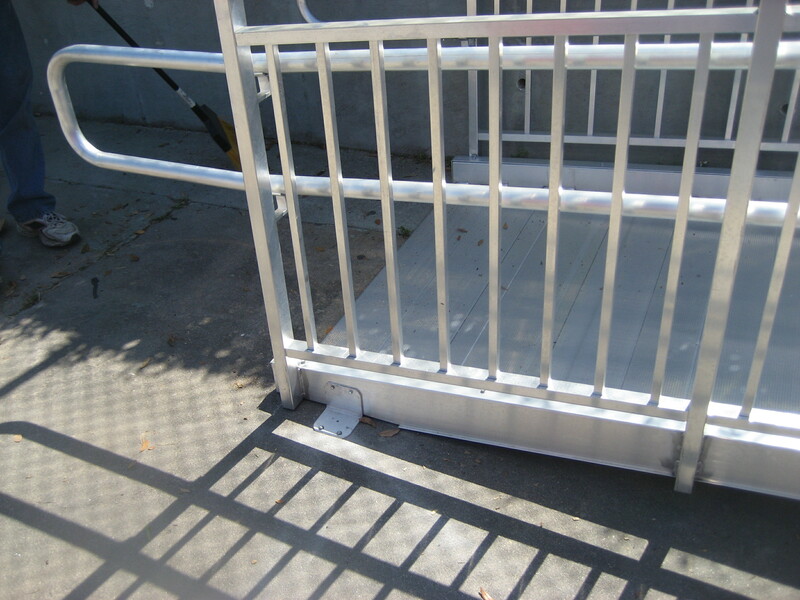 Fast and easy installation – No field welding required! 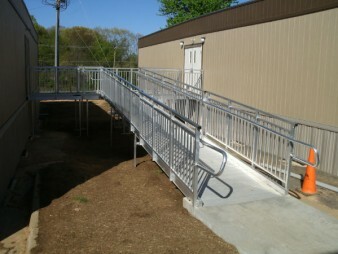 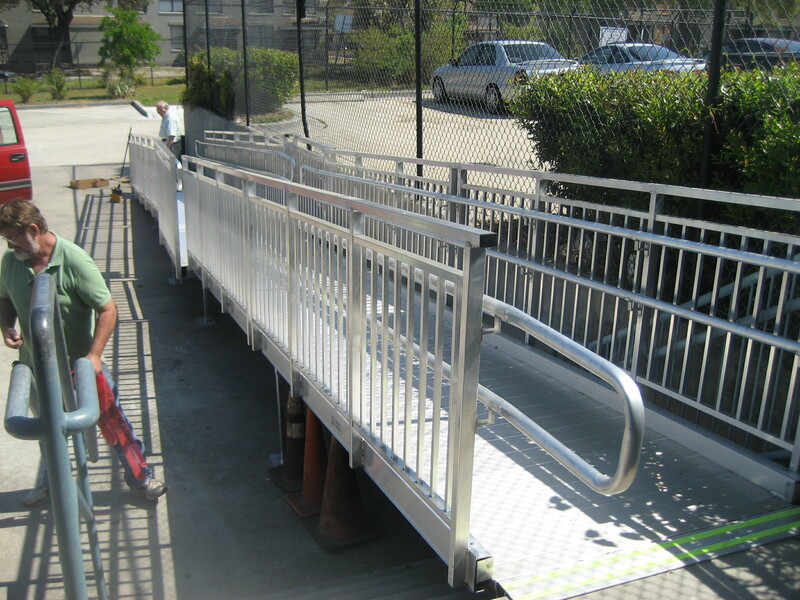 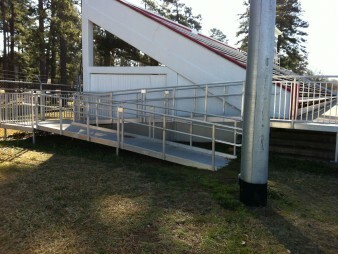 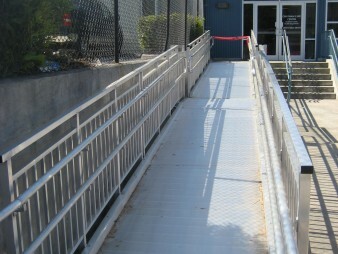 Modular design is re-locatable and reconfigurable for the best value in a handicapped ramp system. 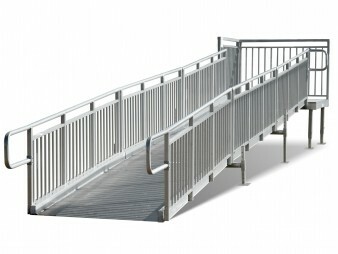 Minimal assembly for a fast installation. 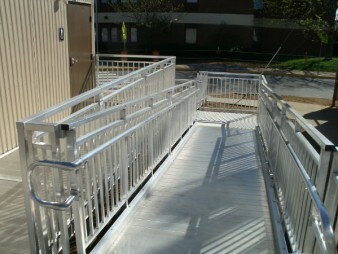 Each unit warranted for wear and durability.